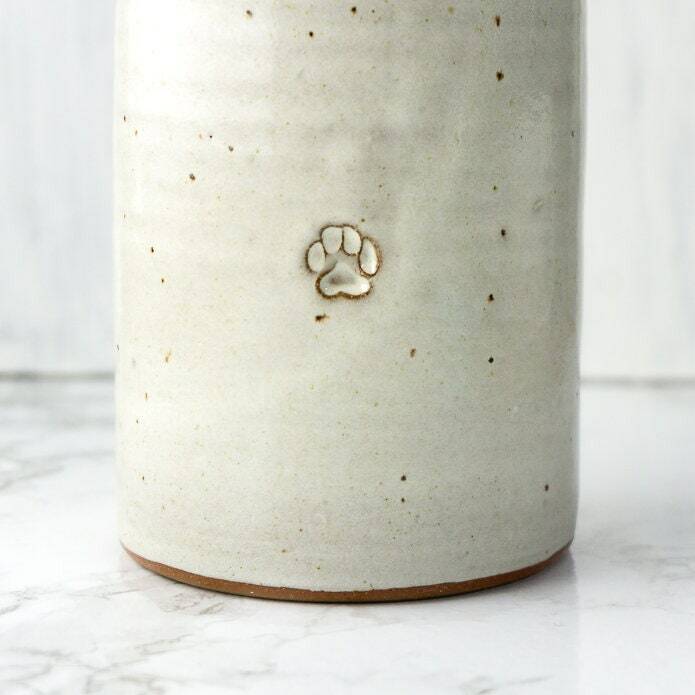 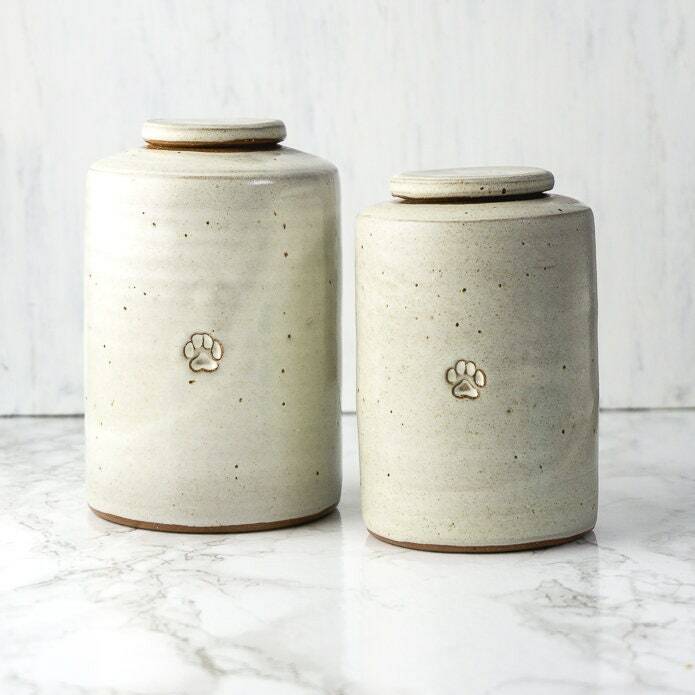 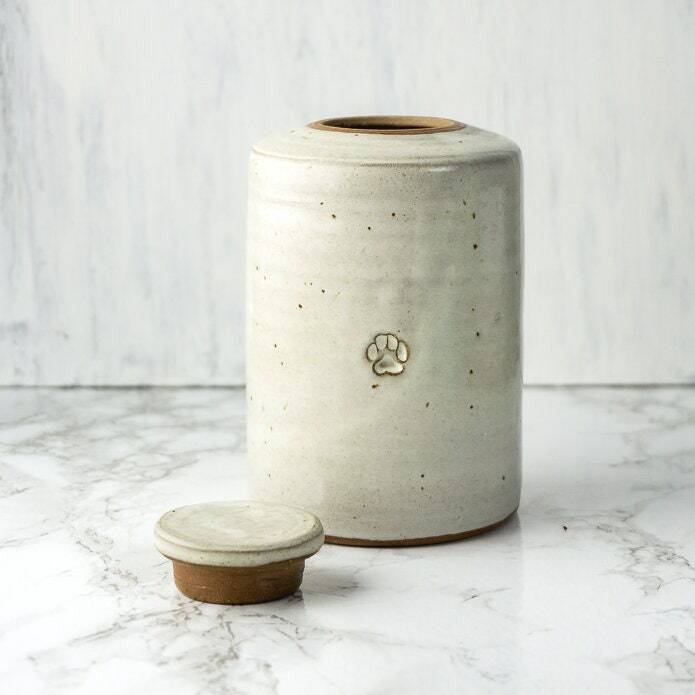 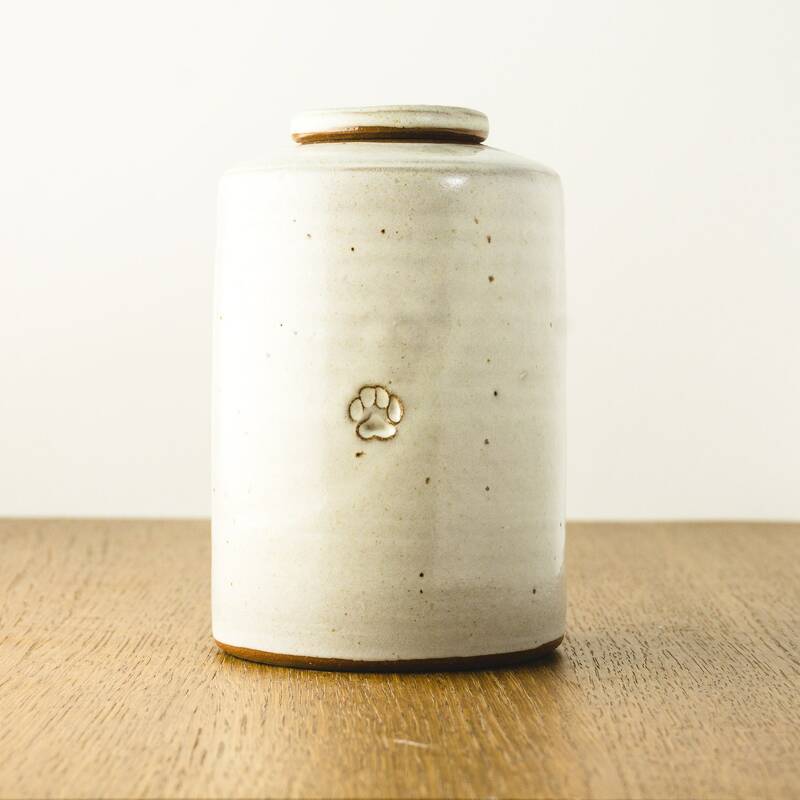 This cremation urn is inscribed with a paw print and topped with a well-fitting lid. 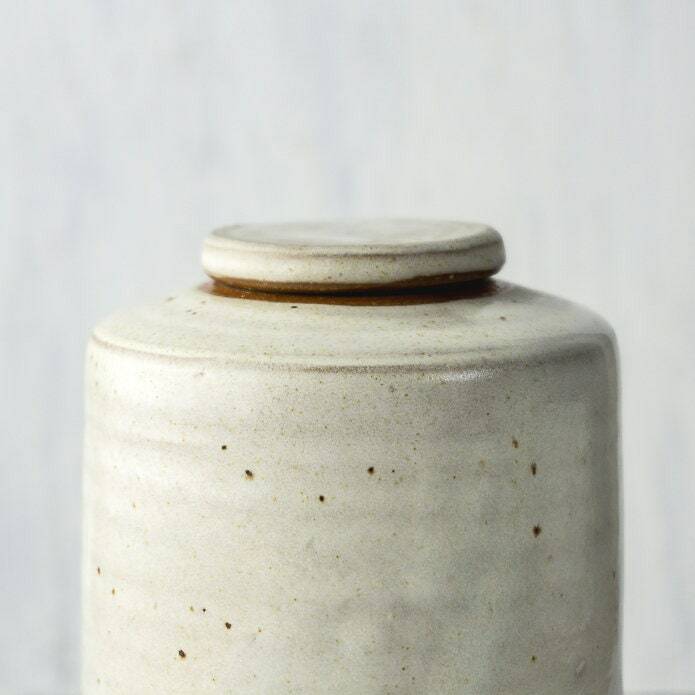 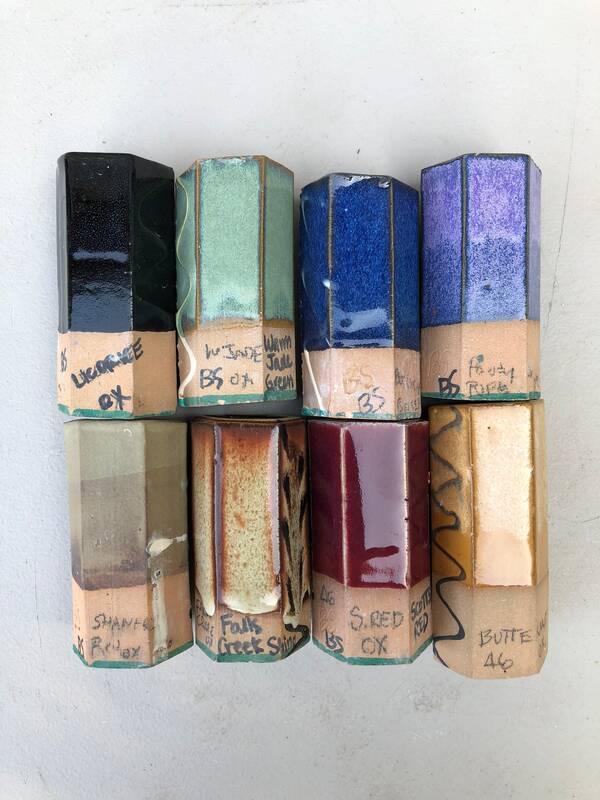 It is thrown on the wheel from red-brown clay and glazed with a white-gray glaze. 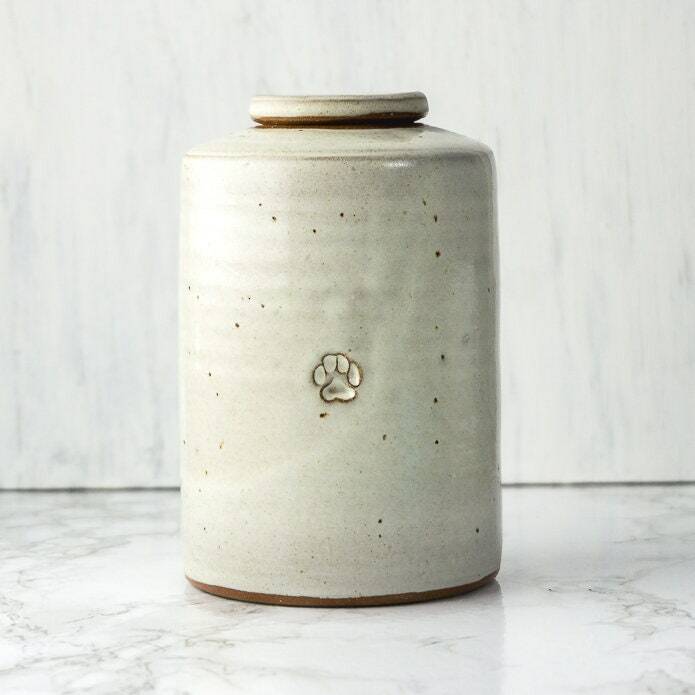 Capacity: 35 cu in, for a pre-cremation weight of up to 35 lbs.